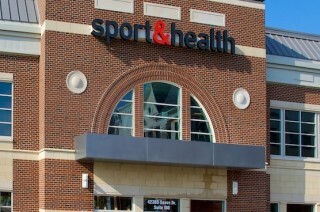 Expansion at Sport & Health Brambleton Completed | Hubert Construction, LLC. Hubert Construction recently returned to Brambleton to expand the Sport & Health athletic club delivered in 2010. The expansion, a 4,828 SF build-out of first floor space originally slated to be in line retail, created the ‘Explosive Performance Training Center’ and expanded the existing ‘Kidz Klub’. The ‘Center’ is dedicated for sports training, featuring indoor turf, a batting cage system and equipment specifically designed for use by athletes in training. The facilities equipment required upgrades to the building’s structural system to accommodate not only the weight but also the force exerted. The build-out included installation of ductwork and diffusers, lighting and power distribution. Hubert has completed 10 projects totaling more than $36 million of construction for Sport & Health since 2010, including new buildings, interior build-outs and renovations.